Gary Mitchell of L-KOPIA direct our new 2016 laser truck to set on track. 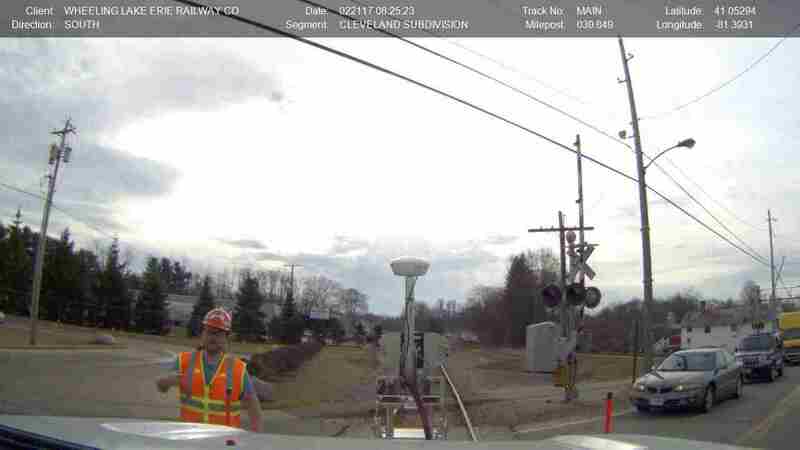 As shown in the new Basler camera heading, this is W&LE RR, Cleveland Sub looking South. The picture also shows milepost, date, time and GPS longitude and latitude. LKO is working on the last track center post processing for TRV (from 2016) and preparing for a fieldwork start in mid-April. A very important task is to make sure we have all 2017 paperwork for entering TRV tracks in order. The traffic permits are more complicated nowadays and LKO may use outside sources to help us with updating our important safety manuals and QA. The 2017 LKO fieldwork schedule is now planned in our office in Borlänge. 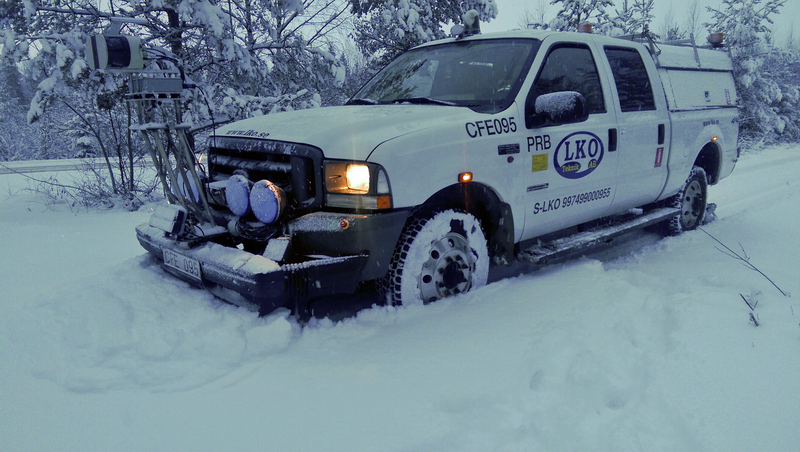 There are still days like above in Northern Sweden and that makes of course clearance surveys harder to perform. LKO will start in South of Sweden later in April. L-KOPIA had an early start with two large projects in February and March, but unfortunately it came to a halt on March 30th. Our largest railroad customer made a substantial budget cut to the 2017 L-KOPIA clearance budget due to revenue decreases. We had to adjust right away, affecting valued L-KOPIA employees. L-KOPIA’s projects in Minnesota and New Mexico was canceled and the next L-KOPIA clearance project is now in Delaware for another customer. It’s a smaller survey and we expect to start next week and then head to Ohio for another survey. Furthermore, we are waiting for an okay for a special transit survey in Chicago, plus new surveys in Canada later in 2017.